Departement of the Alpes de Haute Provence - Pop. : 120 inh. 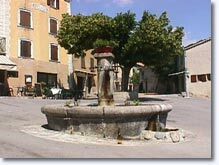 - Altitude : 1,000 m.
17 km from Castellane via the D955 bordering the Castillon Lake and then the RN202 at Saint Julien du Verdon. 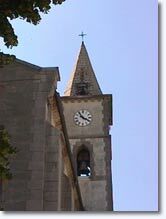 Between wooded hills, verdant meadows and rocky peaks (the Pic de Chamatte rises to 1878 metres), Vergons is a small village huddling round its church with a pointed steeple, overlooked by a picturesque listed chapel perched on a promontory. It doesn't take long to walk round Vergons, with its well spaced-out houses built on a gentle slope, a few old barns, and two main streets linked together by a few sets of steps. 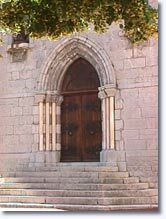 You'll be enchanted by its circular fountain with 4 water jets, two or three beautiful 19th century doors, and its austere grey-stone mountain church, Notre Dame de Valvert. The interior is extremely spare, and the front is decorated by just two statues of saints. 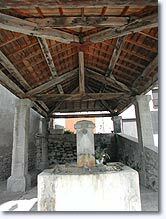 With its gentle air, gurgling fountain and the smell of stables, Vergons has remained both authentic and agricultural! Listed chapel Notre Dame de Valvert. Hiking (e.g. Pic de Chamatte, 1878m.). 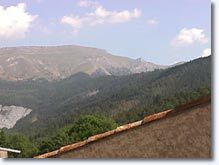 Gites de France, holiday rentals. Saint Julien du Verdon (4 km), Saint André les Alpes (8 km), Rouaine (9km) and Angles (10 km).